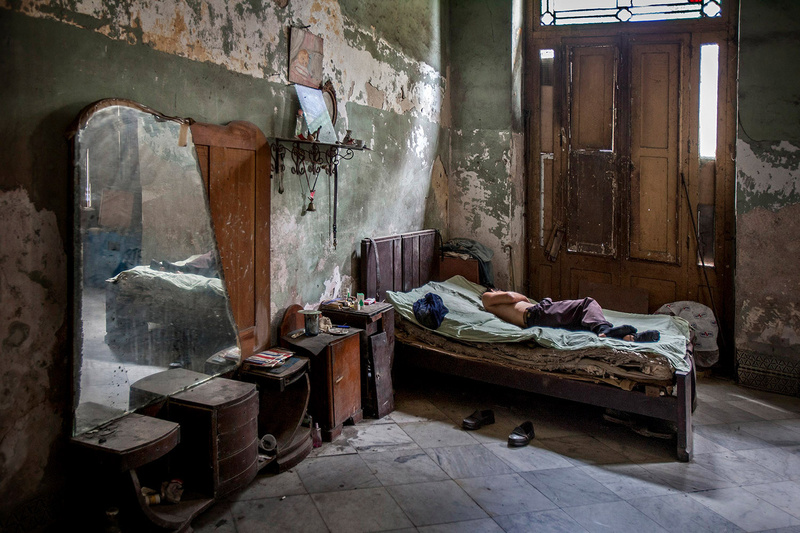 This photo is part of of project about homelife in today's Cuba . I've traveled back and forth to Cuba for 8 years. Each time i arrive i meet up with my friend, a local photographer and we walk the city or drive to the country to document living conditions in today's Cuba. On this day we were invited into this apt near the Malecon. In its day it must have been beautiful apt. Unfortunately, since the revolution the people have not been able to afford the upkeep of their homes. It sure puts my life in perspective. Thank you for your work. This shot is fantastic! It tells such a clear story, I love it. Great work! Deserved a Photo of the day! Cuba seems really worth visiting, although it is also kind of sad to see the living conditions. Great Photo. It tells a story.